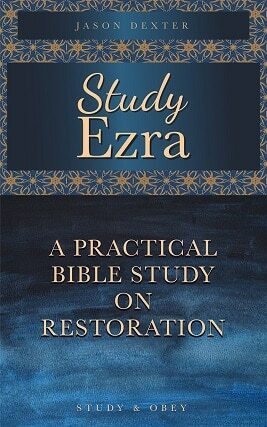 Go over each passage one at a time to see the background and context for the book of Ezra. Jeremiah 2:14-25 – If Judah chose to break God’s covenant He would again (first time Egypt) allow them to be taken into slavery. 2 Kings 17:7-18, Jeremiah 2:7-13 – Judah did commit gross idolatry. Jeremiah 25:11, 29:10-14 – God promised 70 years of captivity. If Judah was taken captive by Babylon, why do we read here that Cyrus king of Persia is in charge? What did Cyrus order in verses 1-4? Why did he treat the people of Judah so favorably? What do we learn about Cyrus and his character from these verses? Why would Cyrus even know about YHWH, much credit his kingdom to YHWH? Who really decided that the people of Judah go back to the land and rebuild the temple? What can we learn about God’s character from these verses? Can you notice any similarities between this passage and the Exodus? 1. Here we see the prophecies of God made through the prophets about Judah’s return to the Promised Land start to be fulfilled. Just like in Exodus and after the Roman destruction of Jerusalem, the people of Israel finally return. Amazingly, each time although they are sojourners in a foreign land for 400 years (Exodus), 1900 years (Roman destruction of Jerusalem), and 70 years (exiles in Babylon) God divinely brings them home again. Each time He brings them home through some amazing historical events. Each time it was also predicted ahead of time. God’s powerful and sovereign hand to bring about His plan for the nation of Israel is a clear underlying message throughout the books of Ezra and Nehemiah. 2. God’s chosen instrument was Cyrus. In one of the clearest prophecies in the Bible, Isaiah predicted about 100 years ahead of time that Cyrus would authorize the return to Jerusalem (Isaiah 44:28). From Daniel 6, we see that Daniel had a high position within the Persian kingdom. He served a king who is identified as Darius. Most Bible scholars believe that the term “Darius” is a title something like “Pharaoh” and that the king Daniel served was King Cyrus (See Daniel 6:28, this verse can be translated, King Darius…even Cyrus). The Jewish historian Josephus wrote that Daniel was Cyrus’ prime minister and that Daniel shared with Cyrus the prophesies that Isaiah made regarding his involvement in Judah’s return. According to Josephus Daniel’s influence testimony is what prompted Cyrus to make this decision. Once again we see that a person who lives righteously without compromising can be used powerfully by God. 3. From these verses we can learn a lot about Cyrus. His attitude contrasts sharply with most powerful kings (Daniel 4:28-30). Most powerful kings of that day exalted themselves. They were egotistical and prideful and many claimed to be divine. Cyrus in verse 2 gives all the credit for his kingdom to God. Notice the use of LORD in all caps. That means that he is giving the credit not just to a god or the Persian god, but to YHWH. This is an amazing confession. It really shows his humility. Unlike Pharaoh who resisted God’s commands, but was forced to comply, Cyrus is a willing and humble tool in God’s hands. Proverbs 21:1. This should teach us that like Daniel we should pray for our leaders. God will use them to accomplish His purposes. 4. May his God be with him. This will be a continuing theme throughout this book and also Nehemiah. We see that God was with His people. He disciplined them for 70 years in Babylon. Now the time for discipline was over. He was going to restore them to their land. This teaches us a very clear lesson about God. He is sovereign. The nations and powers around Judah rose and fell. Kings rose up and were conquered. Empires tumbled. But God continued to preserve a remnant of His people. He continued to keep His exact plan for them. Cyrus willingly sent some of the people back. But if he wasn’t willing, it wouldn’t have mattered. God’s prophecies never fail. Deuteronomy 18:20-22. 5. Besides showing us God’s sovereignty, this passage also shows us God’s mercy. The people of Judah had deliberately disobeyed Him over and over and over again. Yet He didn’t cast them out. He didn’t permanently reject them. He didn’t abandon them. Isaiah 49:14-16. His discipline was temporary. It was meant to teach them a lesson and eventually bring them back to Him again. 6. Cyrus also asked the Israelites who were not going back to help those who were. I imagine most of these were happy to do this. They wanted to see the land populated again. For many reasons they couldn’t or wouldn’t go, but would like to help those who did go. This part is similar to the book of Exodus where the Israelite’s neighbors gave them gold and silver and other valuables before they left the land. Isaiah 44:28 – Isaiah prophesies that Cyrus would make the proclamation for Jerusalem to be rebuilt. Who went back to the land? Do you think this was an easy decision? What would have motivated them to go back? What could have motivated them to stay? What kind of life could they expect to have back in the land of Judah? What were they going to do when they returned? In what other ways did Cyrus show favor towards them? Why would he do this? 1. Many of the families made the decision to go back to Jerusalem. This could not have been an easy decision. Most of them were born and raised in the Babylonian Empire. This was “home” to them in a sense. The people they knew were there. Their houses were there. They had friends there. They had careers and jobs and possessions. They had security. Back in Jerusalem they wouldn’t know what to expect. Certainly there would be dangers both on the way and when they arrived back. They would have to start their lives completely from scratch. They would face difficulties and opposition. But they made the choices to go because God stirred their hearts. God put this desire in their hearts and they responded. They realized that Babylon wasn’t really their home. It wasn’t the land God had promised to them. Judah was their home. This is similar to the concept that we are also aliens in a foreign land and our citizenship is in heaven. a) Application: These people obeyed God’s will for them much like their ancestor Abraham had done so long before. We must be willing to obey Christ no matter how much it costs. That is what it means to be His disciple. 2. Once again God blessed the people of Israel through Cyrus, by moving him to return all of the valuables that Nebuchadnezzar had taken from the temple 70 years before. This seems like a very unlikely event where a king returns the spoils the to the conquered nation. It shows God’s power. Nothing is impossible for Him. a) Application: This should build our faith in God. God can indeed provide for all of our needs abundantly. He can keep every promise He has ever made to us. Nothing is too difficult for Him. Our job is to have faith and follow. Why do you think Ezra lists out the families and numbers them? What is the total number of people? Compare that to the total number of people in the Exodus (almost 2 million). What impressions do you get from the number of people returning? Do you notice anything else interesting from this chapter? What was one of the first actions they did when they returned? 1. The people each returned to his own city. Although 70 years had passed they continued keeping track of family lines and property ownership. 2. Ezra numbers all the people meticulously. I get the impression of a very organized return. It is not chaos. Everything is done in order. The leaders taking them back know exactly who is going back and where they will go and who they are with. This gives a certain amount of safety and accountability. You can imagine they also likely did some periodic counts to make sure that everyone who left Babylon was still safe and in the caravan. 3. We see some people from all of the key groups returning including: Benjamin, Judah, Levites, Priests, and Temple Servants. 4. If you add up all the numbers given in the first part of the chapter, it is actually around 10,000 short of the number given in verse 64. This is explained by the fact that Ezra doesn’t list out everyone by family, probably not including the numbers for non-Judah and Benjamin tribes. 5. We also see that there are a couple of groups who could not find records of their ancestry. They were therefore excluded from serving as a priest until a priest could ascertain God’s will for them from the Urim and Thummim. What is that? 6. Upon returning to the land, one of the first things they did was give a contribution to the temple to build the foundation. This appears to be by a volunteer basis. The people freely give of what they received when they left Babylon. This gets the temple construction project off to a good start. 7. I notice that the number of people returning seems very few. There are only 42,360. Contrast that with the likely 2 million people leaving Egypt at the Exodus. We can see Israel has been humbled. It’s position is very low. They have no standing, status, or power in world affairs. Later we will see that Jerusalem is a pitiful sight with no walls. The few things they have were mostly given to them by charity. They only have the right to be there because the leader of the empire they now serve gave them permission. No more are they a strong, proud, independent nation. They are lowly servants dependent on the crumbs falling from their masters’ table. What can we learn from this? God certainly blessed them and showed them His grace to allow them to return. But sin doesn’t come without consequences. God eventually forgave them and restored them. But what they were restored to was much less than what they lost before. In our own lives, God will always be willing to forgive us and accept us back again, but it doesn’t mean that we can get everything we had before we sinned. Therefore by far the best choice is to never stray from or disobey God.